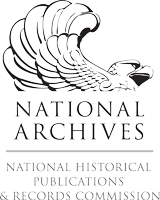 The development and publication of this site was funded by the National Historical Publications and Records Commission through two one-year grants in the Publishing Historical Records in Documentary Editions program. Editorial work on the Civil War Governors of Kentucky has been supported by the National Endowment for the Humanities three three-year grants in the Scholarly Editions and Translations program. This site is an evolving publication of the Civil War Governors of Kentucky Digital Documentary Edition. This site is an evolving publication of the Civil War Governors of Kentucky Digital Documentary Edition, a project of the Kentucky Historical Society (KHS). Upon the completion of the Abraham Lincoln Bicentennial and the beginning of the Civil War Sesquicentennial, KHS launched the CWGK initiative to help advance scholarship, increase teaching, and leverage digital tools to deliver state and local history across the Commonwealth and across the world. The editorial focus is on the office of the governor during the Civil War years, but the intent is to uncover the lost lives and voices of everyday people struggling to cope with unprecedented societal chaos. These people reached out to their government, leaving what was for many their only intervention in the written historical record. Their government attempted to respond, sometimes succeeding and sometimes failing. We have much to learn from all sides of this digital edition. Years of planning and fundraising preceded the initial commencement of full-time editorial work in 2012, funded in large part by the NEH. With NHPRC publication support, this site launched in June 2016 with over 10,000 digitized, initially transcribed, and marked-up documents centered around the office of the governor of Kentucky (Union and provisional Confederate) from late 1860 to 1865. At the beginning of 2018, the site evolved to publish its first annotated texts, in which each of the people, organizations, places, and geographical features mentioned in a text was linked to a corresponding biographical entry and placed as nodes on an ever-expanding social network. At that time, CWGK also updated a large number of transcriptions that reflect an authoritative treatment of the text and coding after an additional stage of editorial work. Over time, CWGK will continue to update texts and populate them with linked entities. Explore the pages in the About menu to learn more about CWGK staff, our editorial policies, and our interface.